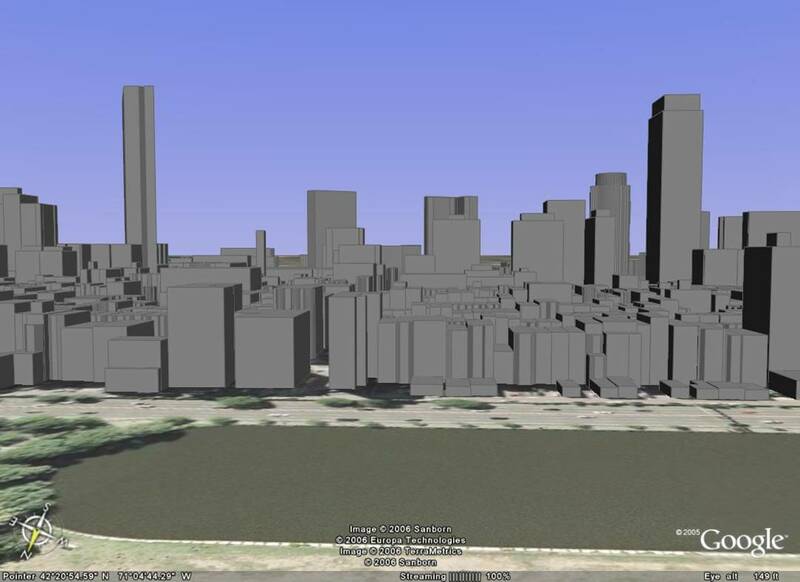 A 3D rendering of downtown Boston in Google Earth. "The result could be that we'll soon populate a virtual version of planet Earth instead of the made-from-scratch metaverses like online games or Second Life. The main element Google Earth is missing today is avatars, but at least one observer believes those to be added soon. "I would expect to see someone using Google Earth as a virtual social space by the end of the year," says Jerry Paffendorf, research director of the Acceleration Studies Foundation, a futurist organization."